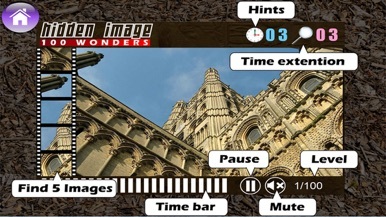 Hidden Image is a challenging visual photograph game. The objective is to find 5 images within an image under a given time. This game is designed to improved your observation skills and attention to detail. Extra features like Hints and Time Extended are provided to help you beat the clock. 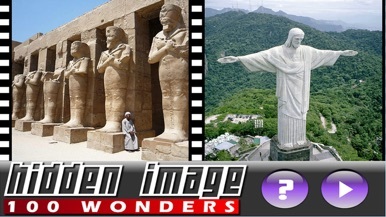 Enjoy the beautiful imagery of world's 100 wonders while playing Hidden Image.